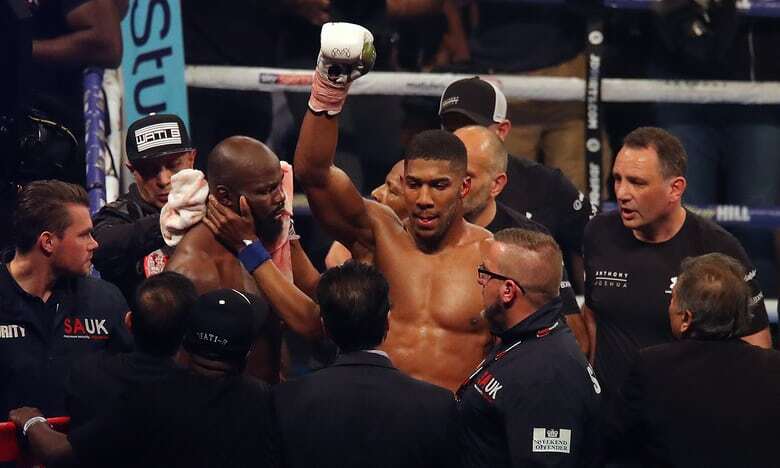 Carlos Takam has said he wants a rematch with International Boxing Federation (IBF) and World Boxing Association (WBA) Heavyweight champion, Anthony Joshua. The Cameroonian-born French boxer, 36, was defeated Joshua via technical knockout in round 10 of their world heavyweight title fight in Cardiff, Wales on Saturday night. Takam has now lost four of his 40 professional fights, winning 35. Reacting to his loss, Takam who replaced the injured Kubrev Pulev, expressed sadness that the referee decided to stop the fight in the tenth round. “No, I don’t think so,” Takam replied, when asked if the referee’s decision to stop the match in the 10th round was fair to him. “I don’t know why the referee stopped the match. I respect the champion and the UK fans, they are great fans and I am happy to box here. I don’t know why they stopped it.